Build teamwork and help the Park by organizing a "Day in the Dirt" for your nonprofit organization. 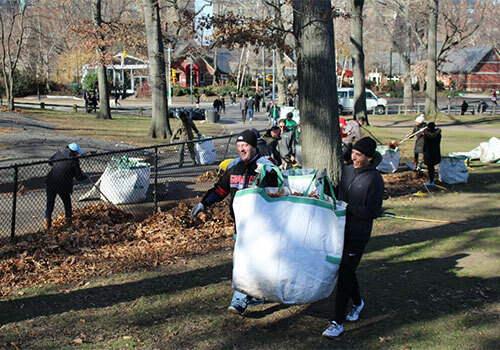 Projects are seasonal and involve raking leaves, mulching, weeding, and other landscape maintenance projects as needed. Nonprofit groups of up to 12 adults may inquire about participating in a "Day in the Dirt." Advance registration and a three-hour commitment are required. Group projects take place on Saturdays, 10:00am – 1:00pm. Sign-ups are on a first-come, first-served basis. All participants must be 18 years and older. No pets, please. All sessions are from 10:00am-1:00pm. To register for a Non-Profit "Day in the Dirt" program, please submit the following information. * Question - Required - Please type the code into the box so we know you are human and not a spambot.